Aha. So the watchdog knew the culprit, all too well. Let us now turn our attention if we may, to the nefarious practices of the Australian Banking Gang, and in particular to their extraordinary level of profit taking from New Zealand. ANZ made a record $1.99 billion profit in 2018, which works out at $416 extracted from every single New Zealander. BNZ has racked up a $1.029 billion profit the same year. Westpac’s profit was up by 5% this year, to $1,017 billion as well. In June 2018, ASB reported a 10% rise in profit to $1.177 billion. Have those profit levels, could those profit levels possibly be the product of fair and square dealing that puts the needs of the customer first? Unlikely, my dear Watson. Alas, our watchdog did not bark. 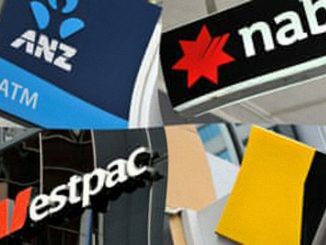 Across the Tasman though, their guardian hound – the Royal Commission into banking practices – has been barking very loudly indeed about the activities of the Australian banks that own the main New Zealand banks. Yesterday, it issued 76 recommendations for change, among them the creation of a compensation and remediation scheme for the banking industry’s victims that could top the $6 billion mark. The Commission also recommended that at least two of the institutions involved should be made liable for criminal prosecution. The chairs and CEOs of ANZ, Commonwealth Bank and Westpac offered apologies and conceded their bank’s mistakes when they were compelled to appear at the royal commission’s final round of hearings in November. Mr Hayne urged ASIC to launch legal action when dealing with large corporations, rather than just issuing infringement notices when they breach laws. He said infringement notices should only be used in administrative matters. “Misconduct will be deterred only if entities believe that misconduct will be detected, denounced and justly punished,” he wrote in his report. The free-for-all, or perhaps fee-for-all, approach to financial services was facilitated by lax oversight and an industry built upon bonuses and incentives. At some stage, it developed into wholesale theft on a grand scale…. Curiously, our watchdogs at the RBNZ did not bark very vigorously at all at the Aussie banks. Late last year the RBNZ concluded that our banks did not display the same behaviours that Hayne has now condemned. It found instead that such as they were, the bank’s conduct problems derived from its internal culture, and were not widespread. Very curious. To believe that… one would need to live in a rather strange world. One in which massive profits are being racked up by the local outlets of Australian parent banks that have acted very badly on their own turf, but that – for some reason – have not behaved in the same ways here in New Zealand. Gosh. What on earth caused this sudden inrush of virtue to Aussie banks, once they’d set up shop here? Even curiouser… The RBNZ findings (that any banking problems here are caused by an internal culture that’s gone a bit awry) look remarkably like the failed defence that was mounted by the NAB top brass at the Hayne inquiry. Here in New Zealand, the RBNZ focussed almost entirely on whether top bank managers have been too “complacent” in their attitudes towards the public, or whether individual staff may have been overly zealous in peddling the bank’s products. As a consequence, banks could sometimes seem to be acting in their best own interests, and not on behalf of their customers! Fancy that. The Commissioner said Mr Thorburn tried to portray the charging of fees for no service as a, “product of poor systems and carelessness” and “just professional negligence”. Mr Hayne hit back: “I cannot and do not accept this. I thought it telling that Mr Thorburn treated all issues of fees for no service as nothing more than carelessness combined with system deficiencies when the total amount to be repaid by NAB and NULIS on this account is likely to be more than $100 million,” he said. Meaning: given (a) the size of the compensation and remediation bill in Australia and (b) the scale of the profits being extracted from the NZ customer base, there are structural issues involved, not merely a few unfortunate over-reachings made by individual staff. That being so, where is the official analysis – say, by the Commerce Commission – of the NZ banking industry’s profit structures, to see how and where those mega-profits are being generated, and what can be done to regulate them down from the stratosphere? Last year, PM Jacinda Ardern was publicly expressing her concern that oil companies seemed to be fleecing ordinary New Zealanders at the petrol pump. Well, multi-billion profits are being extracted by banks from ordinary New Zealanders and these profit levels are rising at rates of 5% and 10% on top of previously record annual profits. Yet all we’re hearing from the government is that this is a “conduct” and a “culture” issue. In effect, the banks have been put on notice that they need to be more polite to their customers while ripping them off. According to Finance Minister Grant Robertson, the banks need to “up their game” and keep the customer’s long-term interests in mind. LOL. Late last year, the coalition government said it would be waiting until Australia has concluded its Royal Commission into the banking industry, before considering what regulatory response if any, New Zealand might make. That day has arrived. Yet in time honoured fashion, our watchdogs will reportedly be chewing over the Hayne report carefully (until media interest has subsided) before deciding whether to bark. Not for the first time, we’ve delegated to the Australians all the donkey work involved in analysing the structure of the banking industry, and have then chosen to assert that things are done differently here. All logic would suggest otherwise. Presumably, our Commerce Commission could embark on its own market studies of this industry, now that can do so off its own bat. But would it be given the resources to do so? Probably not. In all likelihood, we’ll never know what level of damage is being done to our economy by the mega-profits being siphoned offshore by the Aussie banks. Or the validity of (a) the margins they charge, and (b) the fees they extract. But by jingo, Finance Minister Grant Robertson will on their case if they don’t improve how their counter staff treat their customers!